Looking for a company that can get commercial windows done right? Looking for a company crazy enough to install these types of commercial windows? Commercial windows can be repaired or replaced entirely. We offer lots of options, including custom windows. For commercial buildings, Commercial buildings have the most need of window tinting. Most buildings have many windows and in most cases surrounding all sides and exposures. Usually the windows which are most in need are the East, West and South facing windows. These windows get the most exposure to the punishment of the sun. Heat, glare and damaging ultraviolet rays penetrate through the panel of glass causing an uncomfortable environment. Although the jobs are often large, commercial window tinting can be done yourself! For over 40 years, Aladdin Glass and Mirror has provided expert design, project management and installation of windows, doors and curtainwall to the educational, healthcare, multi-family, commercial, landmark, hotel and residential markets servicing the tri-state area. Whether new construction or rehabilitation, Aladdin Glass and Mirror feels working closely with architects and engineers allow our estimators and project managers to successfully complete any project in a cost effective, accurate and timely manner. At Aladdin Glass and Mirror, we can help you create an office environment that provides a more efficient and safe space for employees and customers, at a competitive price. From the installation of windows, glass partitions, and doors, to the retro-fitting and repair of existing facilities, we provide Orange County, San Bernardino, and Los Angeles with commercial glass products and services. Commercial Windows are easy for us! We offer various types of commercial windows. We can do repairs, or replacements. 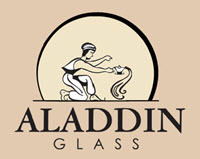 Aladdin glass and mirrors has the experience and expertise to take care of almost any commercial window!